optional: walnuts, chocolate chips, cinnamon, etc, to your heart's content! I recommend about 2 handfuls of nuts or chips for half a batch. first, mix the flax seeds and water in a blender together for about 3-5 minutes, until you get a gelatinous, egg white like substance. add the dry stuff in little by little, alternating with your crushed bananas. grease the pans very lightly, add the sesame seeds as coating by putting a generous handful and then shaking it around so it goes on the bottom and the edges. 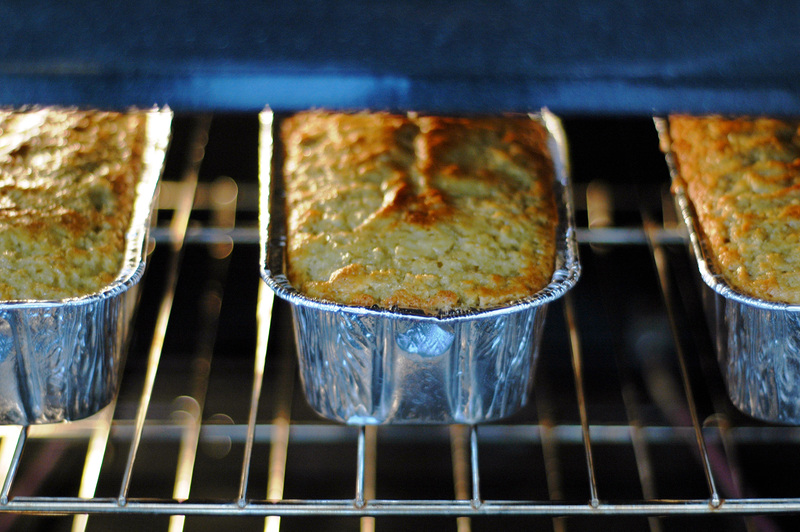 if you have a loaf pan, you'll want to put it up to 50 minutes to an hour. I found this recipe when I was working with a community kitchen which was also a little vegan paradise for students. This bread will convert non-vegans in one mouthful. I did tweak it to decrease the amount of sugar, feel free to add a little more if your bananas are a little green. Tip 1 : if you're planning a banana bread but your bananas are not ripe yet, pop them in a paper bag for 2-3 days and they will be ready. 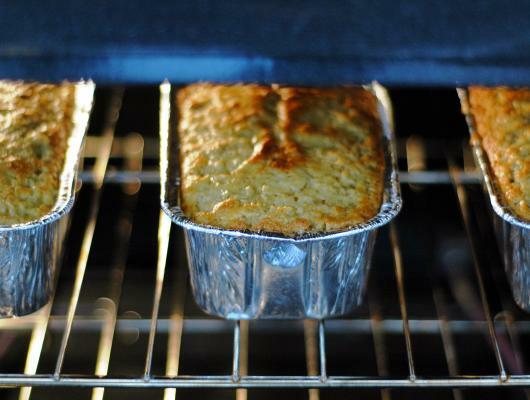 Tip 2 : double the quantities and freeze the breads, they keep for a good 2-3 months.